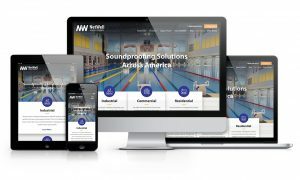 NetWell Noise Control is a results-focused web based soundproofing company dedicated to the elimination of noise. Our mission is to fill your world with better sound by transforming your space into a more user-friendly acoustic environment. With more than 26 years of industry experience, and more than 15,000 client spaces that have benefited from our Soundproofing Treatments and Soundproofing Products. We welcome the opportunity to replicate for you what we know has worked for countless others before you. We start with the advice, then package the framework for your treatment around your budget, and deliver the most cost effective soundproofing products on the market to your doorstep. Our consulting is free, the applications are designed around the ease of self-installation, and it all starts with a simple call to our help desk. With just a five-minute phone call, you will recognize that we know our stuff. We welcome the opportunity to deliver back the sound values you are seeking. And yes! Our customers experience up to a 90% collapse in their noise levels. And you can to! What separates NetWell from the rest? Experience. Soundproofing is all about the art of replication, our treatments are nothing more than repeat performances. We will produce the same values back for your project as we have for tens of thousands before you. Each started with this. A Room Analysis form which you use to submit your room’s dimensions into our help desk. The key to the success of your sound panel treatment lies with getting the coverage amounts right. Our goal is to safe guard against under treating your space, and conceding sound values back. Please submit the information below, and we will report back with the results of your Room Analysis, and quote your project.